Make the planet a better place, starting with your floors. Using green products and services when you remodel can drastically reduce your carbon footprint, and you don’t have to sacrifice quality or style. Panter's Hardwood Floors offers a fantastic selection of stylish, modern flooring supplies that take much less of a toll on the environment than other contemporary flooring options. Even targeting just one of these methods can help minimize your impact, but more is better when it comes to reducing the strain we put on the planet. That’s why each of our green products is designed to be as eco-friendly as possible, without leaving you to settle for a dirt floor. There are two types of natural resources in this world: renewable and nonrenewable. At Panter's Hardwood Floors, we make a conscious effort to cut back on our use of non-renewable resources, like petroleum byproducts and other fossil fuels, and to use more renewable resources in our products. You can do the same in your home, by choosing a flooring made out of renewable materials. Bamboo and cork are fantastic examples. Bamboo is a grass that can be cut while continuing to grow, just like the grass in your front yard. Cork comes from the bark of the cork oak, and it can be harvested without harming the living tree. Choosing one of these materials gives you the option of a hardwood look in your home while keeping deforestation at bay. 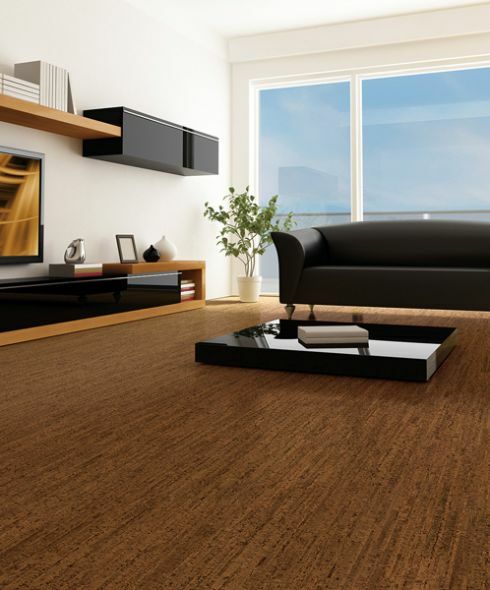 We also have many carpeting options that are made out of completely renewable resources. Select from the latest styles and designs in eco-friendly materials like jute, hemp, and sisal. Part of reducing resource use is re-using the resources that have already been harvested and made into flooring or other products. Panter's Hardwood Floors offers many different types of recycled flooring, much of which is made from post-consumer waste. Part of reducing resource use is re-using the resources that have already been harvested and made into flooring or other products. Panter's Hardwood Floors offers many different types of recycled flooring, much of which is made from post-consumer waste. Air and water quality are becoming major concerns for the citizens of this planet. Acid rain, smog, and shortages of clean drinking water are all very real and very current concerns brought about by the wanton release of chemicals and pollutants into our atmosphere. Volatile Organic Compounds, or VOCs, are major contributors to the situation. They don’t just pollute the outdoor air, either. They can turn healthy homes into houses with poor air quality and contribute to breathing problems. Many floor coverings release VOCs, but at Panter's Hardwood Floors, we offer lines of low-VOC vinyl, laminate, adhesives, finishes, and more. Saving the planet sometimes starts with protecting your own family, and you can do both with low-VOC flooring from Panter's Hardwood Floors. This part of going green will sound like the best part to many homeowners out there. Decreasing energy consumption usually goes hand in hand with decreasing bills and costs. The longer your floors go without requiring replacement or energy-heavy maintenance, the better it is for the environment. That’s why we offer durable, sturdy flooring that will last for ages without needing replacement.